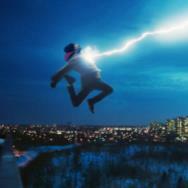 Movies.com > Movie News > Comics on Film: Could the 'X-Men' Movies Use a Reboot After Part 7? 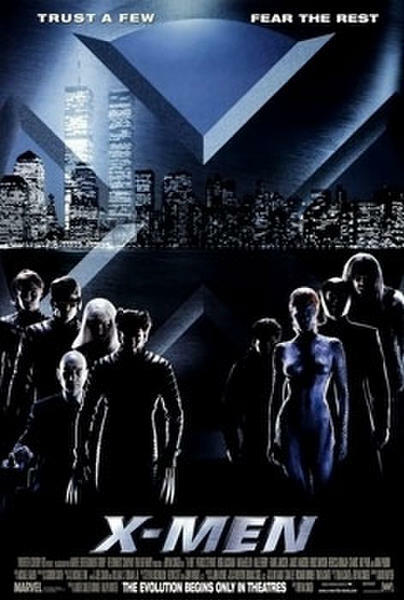 Comics on Film: Could the 'X-Men' Movies Use a Reboot After Part 7? During my time as a comic book retailer, the hardest ongoing print franchise for me to sell was the X-Men. Even more than other continuity-heavy franchises like the Avengers, Spider-Man or the Justice League, the X-Men continuity always proved to be two very dangerous things to those of us who tried to sell their newer comics to new readers: dense and complicated. While it’s film franchise counterpart seemed to get off to a good start more than a decade ago now, many fans are of the mind that even the film series has also become dense and complicated, and that maybe it’s time for 20th Century Fox to shake up the status quo surrounding the Charles Xavier School for Gifted Youngsters. For superhero-film fans, whether you love comics immensely or just check in on the films, Marvel is really predominantly keeping the genre alive. 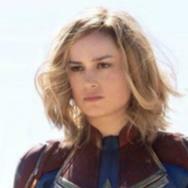 While DC has a few notable films come out just about every year for the last few years (Green Lantern in 2011, The Dark Knight Rises in 2012, Man of Steel in 2013), Marvel has created, for lack of a better term, an onslaught of media related to the shared universe of Marvel Studios, in addition to the constant stream of new Marvel films from both Sony and 20th Century Fox. The film that’s largely credited with starting this new golden age of superhero film is 2000’s X-Men. When it hit big at the box office in July of that year, it started a cascading effect that helped give new life to superheroes on film, planting the seed for the massive record-breaking success of Sam Raimi’s first Spider-Man film two years later. Of all the superhero franchises of the last 20 years that have spawned more than at least two films (and some that have spawned only one), Fox’ X-Men franchise is the only one that hasn’t received a hard reboot. Spider-Man was rebooted in 2012, Batman and Superman have both seen reboots, as has the Hulk and even the Punisher. The X-Men franchise is on the verge of releasing its seventh installment next summer in the form of Days of Future Past, a film that supposedly promises to straighten out some of the more chaotic continuity elements of the last 13 years. No matter how many different directors get a hold of it, no matter how many different (and, perhaps, conflicting) images for the characters are created through the released films, the studio will simply not give up on the only iteration of the X-Men film franchise that has existed thus far. While it’s still proving to be profitable, collective critical reception for the franchise took a noticeable dip for both 2006’s X-Men: The Last Stand and 2009’s X-Men Origins: Wolverine. Normally, two films that failed to garner the reception of their predecessors have signified to other studios that shaking up the status quo would be in order, but Fox instead persisted with the norms of the franchise. While 2011’s First Class and this summer’s The Wolverine have seen that recover, First Class was taken by more than a few people as a bit of a mystery as far as how the studio would apply it to the franchise as a whole going forward. Does First Class signify a reboot waiting in the wings? Or, was that film the true (though contradictory) past of the films we’ve already seen? These are the questions that have apparently given birth to next year’s film, though given the current trend of reboots, it’s more than a little surprising to some fans and observers that Fox hasn’t just thrown up its hands and resolved to try again. 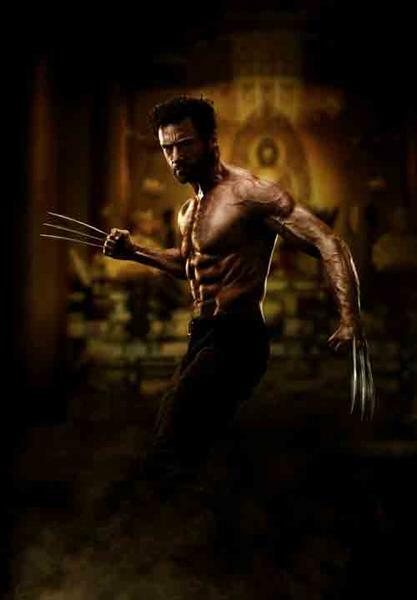 One key reason for the studio maintaining the current franchise is likely Hugh Jackman as Wolverine. The very first film definitely hit the jackpot as far as that casting was concerned, and Jackman has grown not only into the standard-bearer for the role of that key X-Man, he’s also a favorite of both the hard-core audiences and their casual counterparts. With Jackman’s noted (though not pronounced) reluctance to stay in the adamantium claws in future films (rumors persist that Fox is offering Jackman an immense contract to keep the mutton chops on his head in several more sequels), the time may be fast approaching for the studio to shake up the mutant-centric corner of its film slate, which may position itself very well for a reboot – of sorts, at least – in the near future. It all really depends on the performance of Days of Future Past, and the willingness of the audience to accept the status quo as it is. 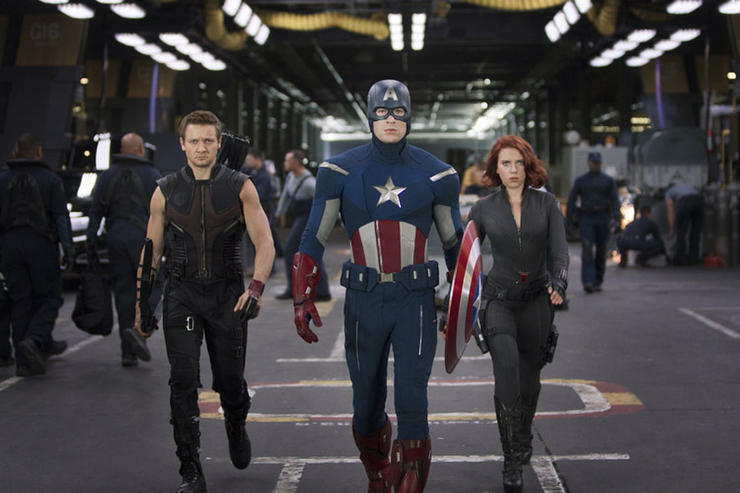 The nature of the subject matter for the forthcoming film has the potential to shake things up without a solid reboot, as comic books themselves have done habitually since the dawn of the company crossover in the mid-1980s. Director Bryan Singer has said a few times that he’s on a mission of sorts to correct perceived errors made to the franchise by X-Men: The Last Stand. 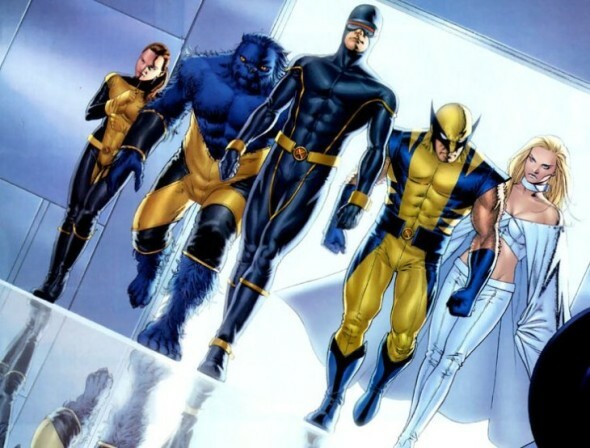 Other fans, myself included, have hoped that instead of continuing a franchise that hasn’t changed much in 13 years, Marvel’s owner Disney would use some of its immense resources to bring the X-Men “home” to Marvel Studios, who would then be able to weave the characters and situations of the X-Men into the Marvel Cinematic Universe, making a film adaptation of something like Avengers vs. X-Men possible. This would also likely mean that a reboot is not only necessary, but required in order to potentially fit in alongside the likes of Tony Stark and Steve Rogers. Even if a reboot happens at Fox, the reasons are perhaps too profitable to ignore. 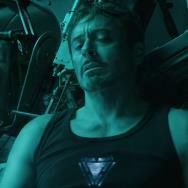 The current series has either killed or depowered several of the most beloved characters of the franchise (like Cyclops, Lady Deathstrike, William Stryker, Jean Grey, Senator Kelly and Sebastian Shaw to name but a few), and while there are plenty others to mine for stories, it’s hard to ignore that previous films did away with some of the franchise’s most notable characters. In the meantime, though, we’ll have to wait and see how Days of Future Past performs, and how it will position the X-Men for the future. I may be completely wrong after Bryan Singer’s latest pass at the franchise hits screens next summer, but if the new film falters in its effort to position the series on a promising course, then it might be time to shake up the Etch A Sketch before it gets too crazy anyways. 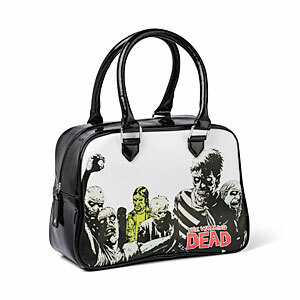 If you or a lady you know feel like your current purse wouldn’t be relevant or fashionable in the impending zombie apocalypse, then ThinkGeek has the perfect solution! New licensed Walking Dead purses! Styled with the art of the comic book series that gave birth to the hit TV series, the Walking Dead purse comes in two styles, “Omnibus” or “Governor,” and would make for a great gift for that fan who really needs to express their love for walking flesh eaters, even on their close-at-hand utility bag. You can pick it up at ThinkGeek for $42.99. That does it for this week, but what do you think? Is there still a lot of gas left in the tank for the current X-Men franchise, or do you think it could benefit from a fresh start? Leave your comment below, and we’ll see you back here next week!